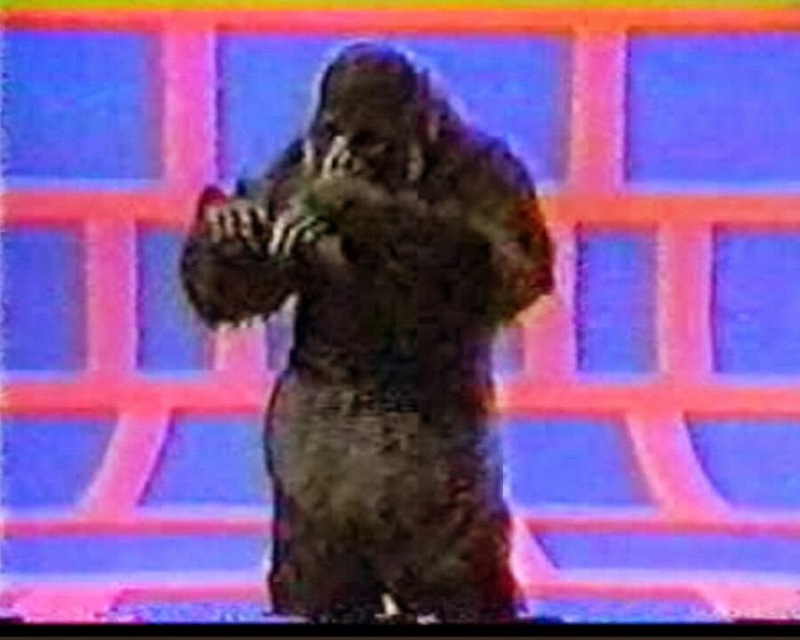 This time we're going to talk about a gorilla man you probably haven't heard of, but have probably seen before...assuming you were around in the70's and 80's that is. Dale was primarily an actor stuntman in Hollywood who was originally from Decatur Illinois. As a young man, Dale was an athlete, which no doubt helped in his stunt career. 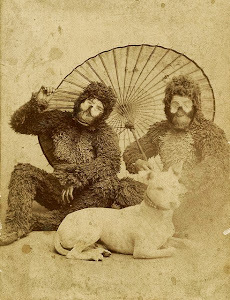 Along the way he got the gorilla bug and had a custom suit constructed to his specifications. Dale's suit was very unique in design, as the head and neck were tapered into the body. This gave the suit a nice thick neck that looked very realistic, but it sacrificed any flexibility of the head. Dales suit also was an early attempt so show the varying fur lengths of the real animal. 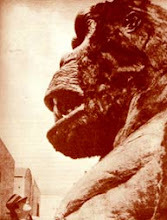 The arms and shoulders were very long fur, while the body fur was about an inch long. 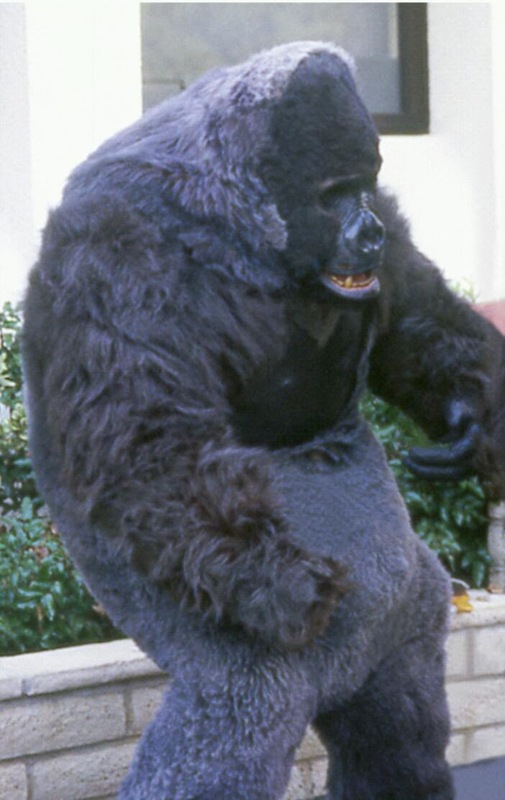 While this was accurate to a real gorilla, it didn't always come off so well on camera , but overall I thought it was a pretty cool looking suit. 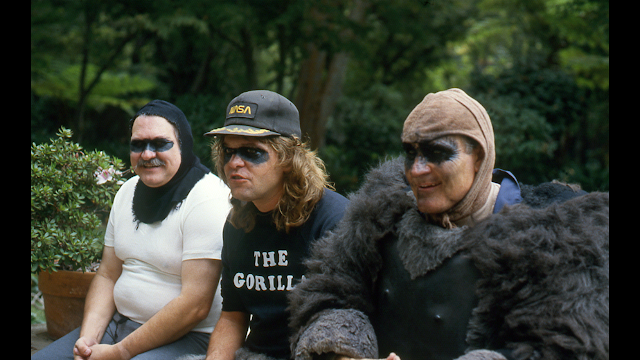 Dale did a fair amount of appearances as "Grunt" the Gorilla in commercials and television. 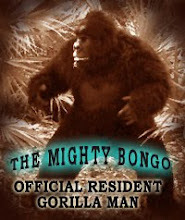 He also played apes in two movies, " Mistress of the Apes " ( 1979 ) , and also " Mr. Too Little" (1978 ). In the movie "Fire And Ice" (1983) Dale played a Subhuman. In the TV sitcom "Rags to Riches", Dale got to be one of 3 gorillas in an episode. Dale teamed with Legendary Gorilla Man Bob Burns, and Gorilla man, special effects genius Steve Neill. Steve Neill, Dale Park, and Bob Burns on the set of Rags to riches. 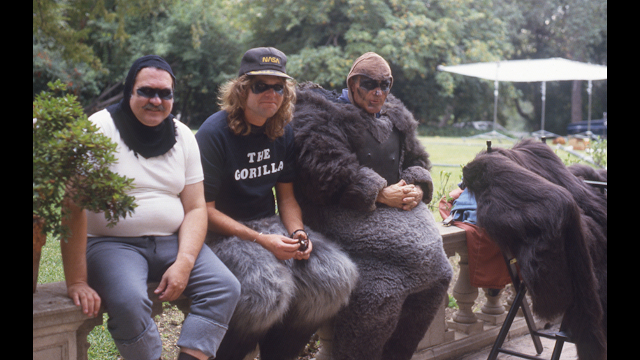 Bob, Steve, and Dale taking a breather between takes. Spoiled rich kids, about to get a gorilla dunking ! [ Dale was a great stunt man. After his gorilla suit days he worked for Roy Rogers at his museum. 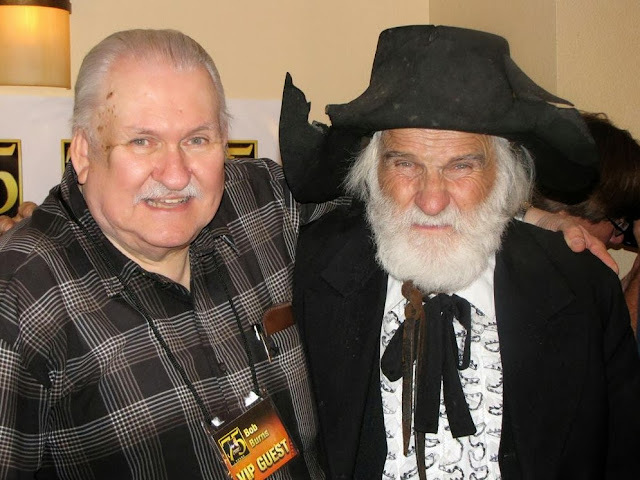 He played Gabby hayes for the people who came through the place. When the museum closed Dale kept playing Gabby and continued that role or at least the last time I saw him in the photo below. Republic studios celebrated their 75th anniversary in 2010. I hadn't seen Dale in years and all of a sudden behind me I heard a voice that sounded Like Gabby Hayes say "How you doin Bobby". Now you may be asking why I called this the Video Game gorilla ? In the 80's Dale was the mascot for the Parker Brothers video game, AMIDAR. Dale appeared both in print ads, and a national TV commercial. This is where I first saw Dale's gorilla, and I made a vow to find out who this guy was. Here are screen caps from the commercial..
And this is the commercial itself...Take note of Dale's body English, especially his loping run at the begining, he was a master ! I 'm glad I was able to find out who Dale was, and a little about him. 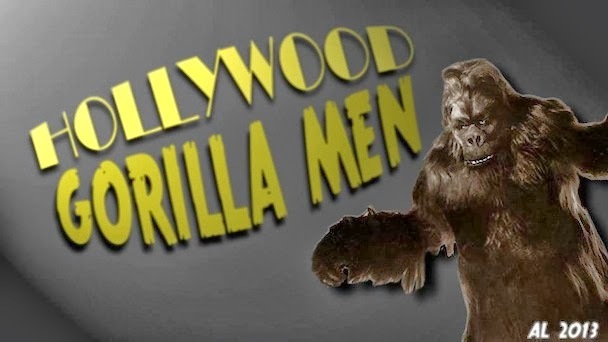 Like all Gorilla men, each and everyone one of them, deserve a place in the spotlight !